Today, more than ever, is the perfect time to purchase suburban Indianapolis real estate. Several communities are growing exponentially, including Greenwood, Carmel, and Brownsburg. Noblesville is no exception. Much like with the other communities in Greater Indianapolis, Noblesville is seeing a surge in business activity, leading to the development of new homes and an influx of population. Despite Noblesville’s growth, the city has managed to maintain its small-town charm and friendly atmosphere. This can be seen in the city’s flourishing historic downtown district, boasting one-of-a-kind boutiques, eateries, and entertainment venues. 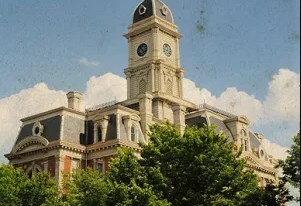 The centerpiece of Downtwon Noblesville is the Courthouse Square, which is the location of the Hamilton County Courthouse (built in 1879) and the county jail (built in 1876). Those who purchase homes for sale Noblesville IN have direct access to this charming downtown at all times. Today, there are nearly 52,000 people residing in Noblesville. Noblesville IN real estate can be found in a geographic space of almost 33 square miles, approximately 21 miles northeast of Indianapolis. It is the 14th largest city in the state of Indiana. Buyers of homes for sale in Noblesville IN enjoy a multitude of amenities, including award winning schools. Most students in the city attend Noblesville Schools, however, some attend Hamilton Southeastern Schools and Hamilton Heights Schools. The Hamilton Town Center, located within close proximity to homes for sale Noblesville IN, was recently completed in 2008 and offers a wide selection of shopping and dining. Other amenities found in Noblesville include several recreational spaces, consisting of parks, bike paths, and numerous golf courses. Noblesville is home to the Klipsch Music Center, an outdoor amphitheater with room for 24,000 people. Noblesville homes for sale range from lakefront property along the Morse Reservoir to new construction properties found in one of the many newly developed subdivisions in Noblesville. To view homes for sale in Noblesville IN, use the map-based property search below, or contact me today.